Cuadrilla de Añana is located in northern Spain in the Basque province Alava. The county covers 10 small municipalities: Añana, Armiñón, Berantevilla, Cuartango, Iruña de Oca, Lantarón, Ribera Alta, Ribera Baja, Valdegovía y Zambrana. 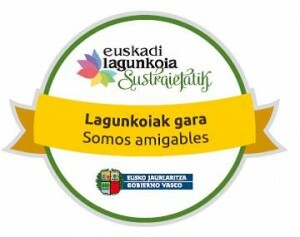 A member of the WHO Global Network of Age-friendly Cities and Communities since 2014, Cuadrilla de Añana has been part of the Age-Friendly Basque Country Programme – EuskadiLagunkoia – since 2013. 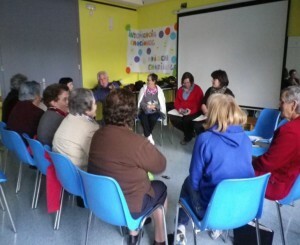 Euskadi Langunkoia works with a number of communities across the Basque Country, including Cuadrilla de Añana, to develop a network of age-friendly communities and facilitate the exchange of good practice between them. Self-support between neighbours program (Auzokoa Lagun): thi is a citizens’ initiative that works to promote social fabric of neighborhoods and mutual help among neighbors. Home delivery of books: people with mobility difficulties can ask for books and newspapers at home. Nording walking: a group of older people is now practicing this sport. Recipes book: an older person teaches a recipe to a child and, if possible, they cook it together. All the recipes are put together in a book.